Combine garlic and lemon juice in a blender. Pulse until a pulpy puree is formed, about 15 short pulses. Transfer to a fine mesh strainer set over a large bowl. Press out as much liquid as you can with the back of a spoon or a rubber spatula, then discard solids. Add cumin and tahini paste to lemon/garlic juice and whisk to combine. The mixture will seize up and turn pasty. Add water a few tablespoons at a time, whisking in between each addition, until a smooth, light sauce is formed. The tahini sauce should very slowly lose its shape if you let ribbons of it drop from the whisk into the bowl. Season to taste with salt. Refrigerate for up to 1 1/2 weeks. 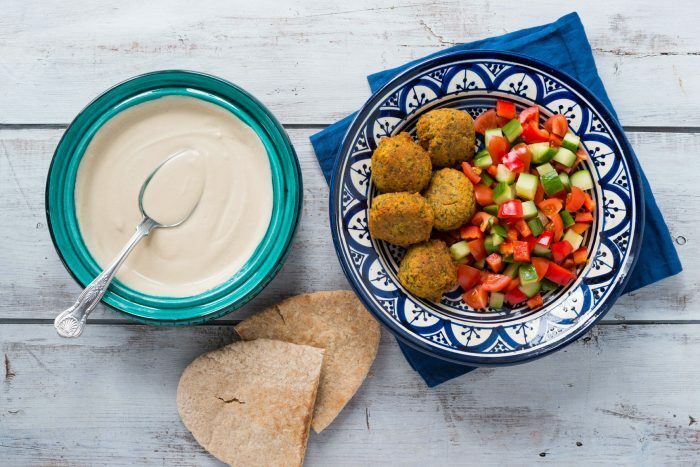 Perfect for drizzling over falafel!